The yummy delicious rice dumpling comes in a varieties of flavor - for those who love savory and for those who love it sweet. There are others which are bland and you eat it with sugar or syrup. 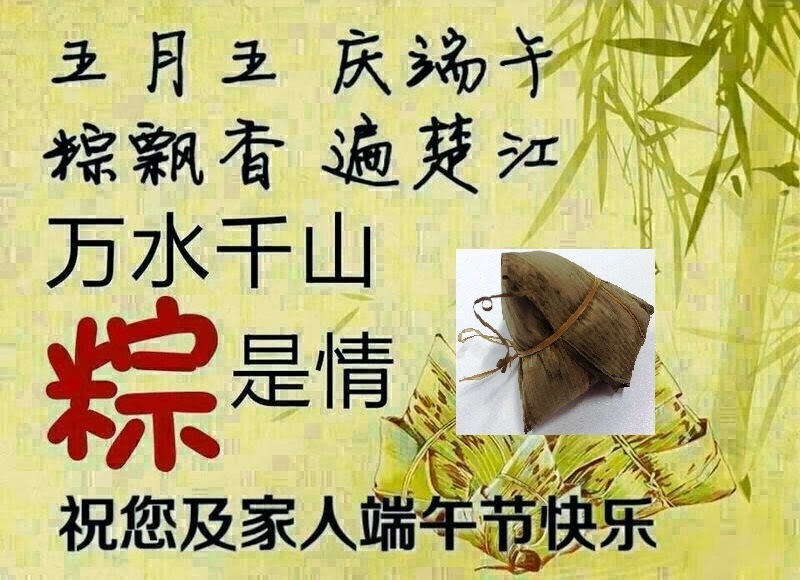 Different ethnic Chinese make their rice dumpling with different fillings. The Cantonese love to fill it with beans (mung beans or soya beans) and pork belly meat. When you break open the rice dumpling, the fragrance of the beans and fat meat fill your nostrils and fire you taste buds. You do not need any dressings to go with it, it is simply delicious on its own. The Teochew's will have chestnuts, mushrooms and lean port meat. They are marinated with black sauce and therefore the dumpling is dark in color. The Nonya's rice dumpling is one of the favorite because of the spices. Mum used to make Pillow Rice Dumplings, some also called it Cantonese rice dumplings. I do not know the origin but some say it is HongKong style and this rice dumpling is huge (it is like a small pyramid) . In it you will find roast duck, roast port, roast meat, mushrooms, chestnuts and salted egg yoke. You can try eating it yourself or you can share it with another person. Preparations to make this takes weeks. My mum used to buy glutinous rice, sort out the husks and soak them in water. Mum will also buy all the ingredients and have them marinated and ready for the wrapping. 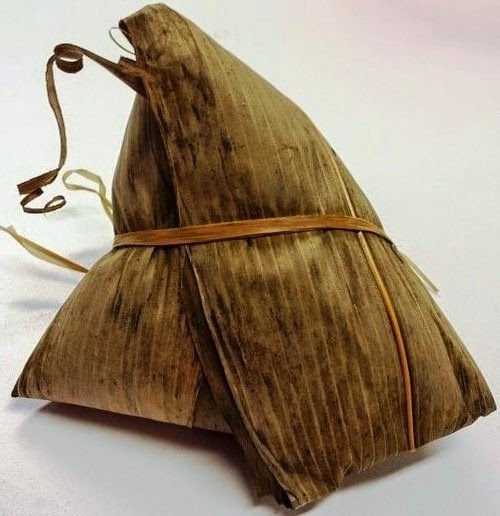 This rice dumpling will not take shape without the rice dumpling leaves and grass strands. Nowadays people use nylon strings which is cheaper but I still think the grass strands are more natural and give out a natural scent. You need one leaf to make one bak chang or if the leaves are smaller you will need two. This again will depend how big you want your bak chang to be. How do you go about making a bak chang? You take a dumpling leave, twist it into a cone, fill it with some rice, add in all the ingredients like meat, mushrooms, chestnuts and top up with rice again. When you feel it is enough, wrap the balance leave over the rice and tie it with grass strands. You need to secure it tightly or else the rice will spill out once you put it into boiling water. People normally tie 5 BakChang in one bundle, it is easier to count the quantity. The other type of rice dumpling are the ones we locally called it KeeChang. KeeChang is made from a different type of glutinous rice. Not many young people love KeeChang because of its blandness however it taste good with sweeten read bean paste. Some of my friends eat it with durain puree. These KeeChang are half the size of the BakChang or they are only bite size. This festival is to celebrate DuanWu. 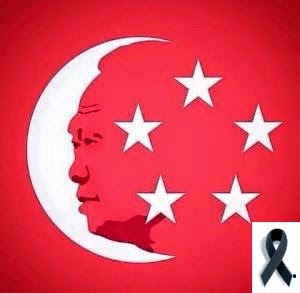 In places like China and HongKong you will still see Dragon Boats competitions but Singapore no longer celebrate it with such activities. DuanWu is a Chinese culture type of festival tie to a folklore. You can read it online. Today also reminds me of Mum, if Mum is around it is her birthday.